Best Family Hotels Tenerife – I have visited the Canary Islands many times before we had the children but have yet to return. So, I have begun to research family hotels in Tenerife ready for next year’s holiday! There are various things we look for such as kids clubs, entertainment and facilities for children such as swimming pools, playgrounds and even waterparks. We also like to be close to the beach! 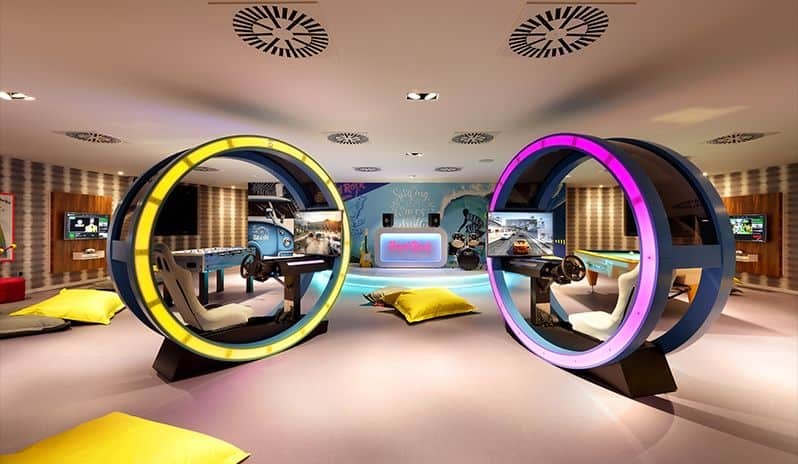 Because your kids are rock stars too the Hard Rock Hotel in Tenerife caters well for the kids with an incredible looking kids club. All your kids are welcome at the Canary Islands’ most exclusive club: Hard Rock Roxity Kids Club™. Laughter and songs fill the air in a place for doing some really cool things. Every day is an adventure for kids who join the Hard Rock Roxity Kids Club™, a place for kids between 4 to 9, where creativity knows no bounds and every trip is a chance to learn something new. Your little stars, aged from 6 months to 3 years, are looked after in the Lullaby Club, while ten to 16 years old enjoy their holidays in the Teen Spirit club. Situated on Tenerife’s Costa San Miguel, Fantasia Bahia Principe Tenerife is one of the region’s most upscale – and largest – properties. With over 370 rooms, including Family Master Suites (capacity five people) and swim-up rooms (adults only – bah! ), themed areas, five restaurants and six bars, the all-inclusive hotel sets the standard in comprehensive, multi-generational breaks. The hotel’s main feature – a mesmerising fairytale castle in the centre of the property – will keep all visitors entertained with spectacular nightly show including a video mapping display and a wide range of entertainment based on the mythology and story of Tenerife’s history and culture. With four expansive swimming pools, a children’s clubs, a Bahia Spa (including tailor-made treatments for kids) and a teens club, known as “THE LOFT” with a private disco and leisure recreational area, and a splash-filled waterpark, Fantasia Bahia Principe Tenerife is a great hang out for children. The hotel also offers guests a personalised concierge service and complementary wifi available throughout the hotel. Hotel Bitacora is one of many family hotels Tenerife and a fabulous choice for all-inclusive family holidays, right on the coast. Have a blast splashing down the water slides, joining in the many activities on offer or simply relax while the kids muck around by the pool! 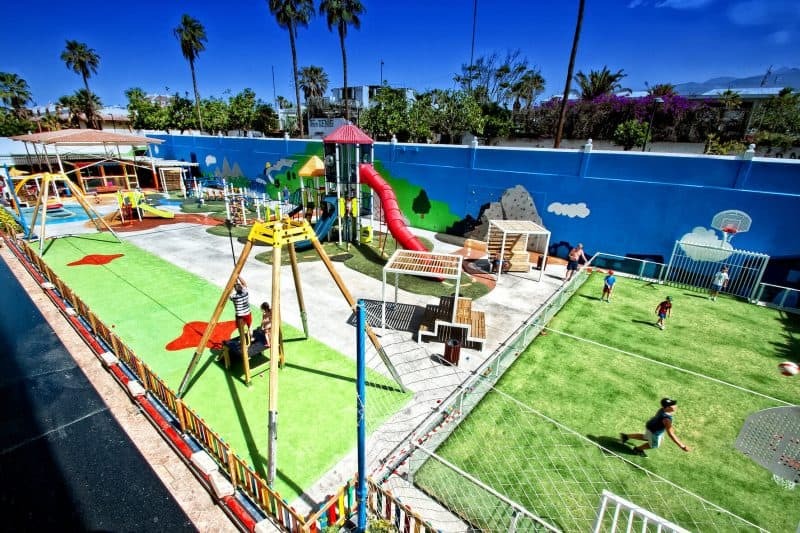 The Holiday Village Tenerife has a kids clubs playground, bowling alley, children’s swimming pool, entertainment staff, indoor games room, cinema theatre, mini golf, rope circuit, soccer field, grass lawns and anything your children can imagine during your holidays in Puerto Santiago. In the Be Live Family Costa Los Gigantes Hotel we specialise in family holidays. If you are looking for other family friendly hotel suggestions in the Med, see our list of family friendly hotels in Lanzarote. 5 Best Lake District Family Hotels – Ideal for Kids!